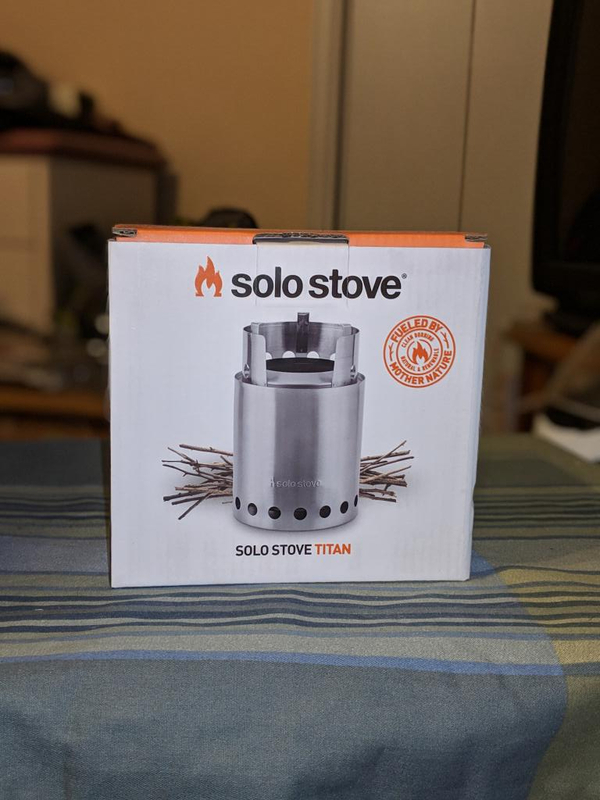 Solo Stove Titan. Brand New. Double wall designed inverted downgas gasifier stove. Wood burning with little to no smoke. Lightweight, Cooks for 2-4 people, wood burning, low smoke, 304 stainless steel. Weighs 16.5 ounces. Comes with a tote bag. Fuel your camp cooking with twigs and sticks. Never run out of fuel again. Size is 7.9 inches tall and 5.1 inches wide. Melt oleo in skillet, add herb stuffing until coated. Place 1/2 of herb stuffing in large Pyrex dish. Blend together the squash, soup, and sour cream. Pour on first layer of herb stuffing and cover with remaining herb stuffing.